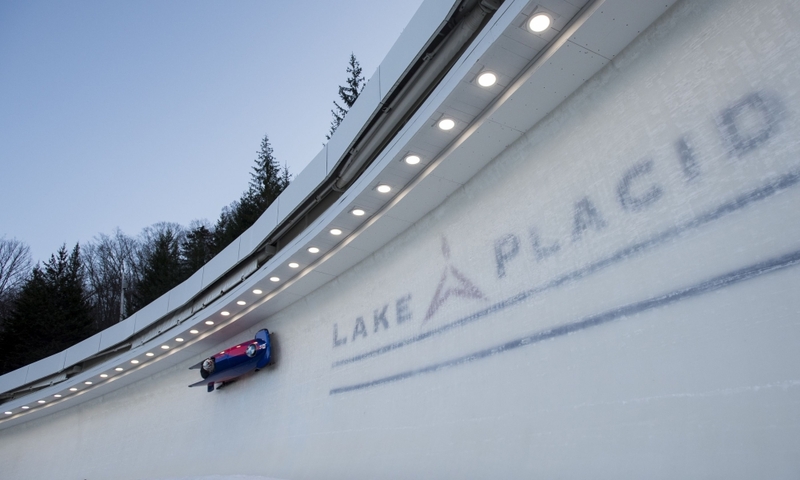 St. Moritz (RWH): St. Moritz-Celerina Olympia Bobrun in Switzerland will host this Olympic season’s penultimate stop on the World Cup tour for bobsleigh and skeleton athletes. 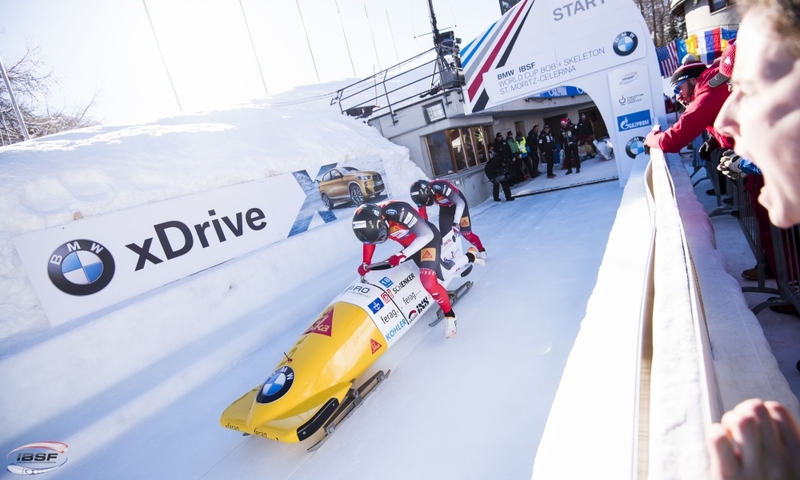 Facing the seventh of its eight events, the 2017/2018 BMW IBSF World Cup is about to enter the home straight exactly four weeks before the opening ceremony for the 2018 Winter Games in PyeongChang (KOR) on 9 February. 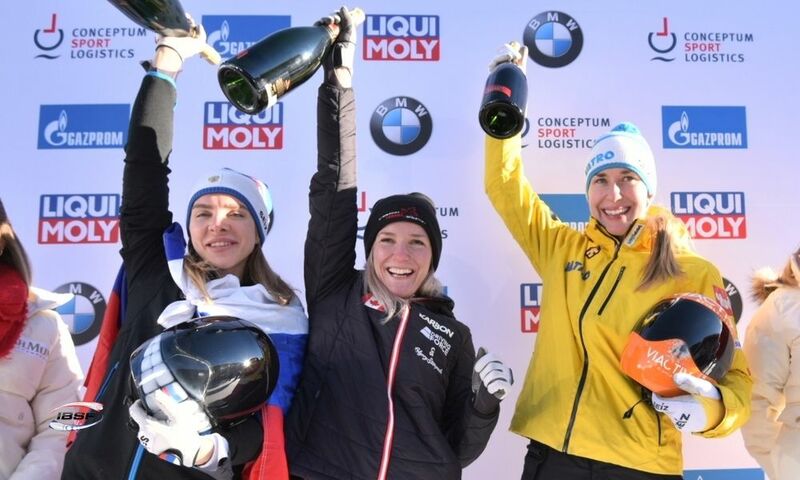 The races in St. Moritz could provide an early preview of who will eventually take the overall titles. 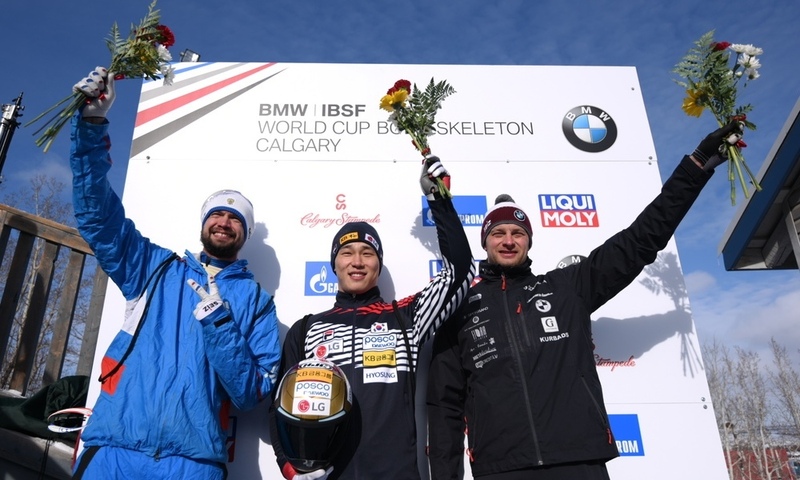 In the men’s skeleton, Sungbin Yun of Korea is on course to replace Martins Dukurs as overall World Cup holder after nine successive seasons at the top. 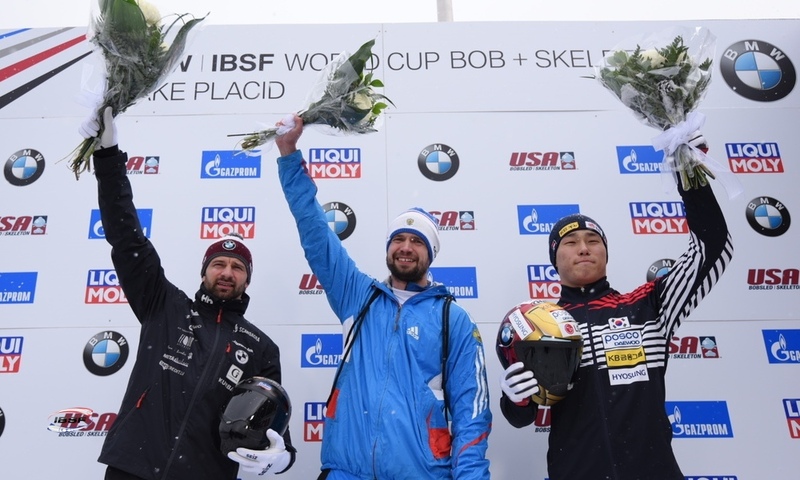 The Korean athlete has already celebrated four wins out of six World Cup races this winter and finished second in the remaining two races, giving him a 90-point lead over Martins Dukurs. 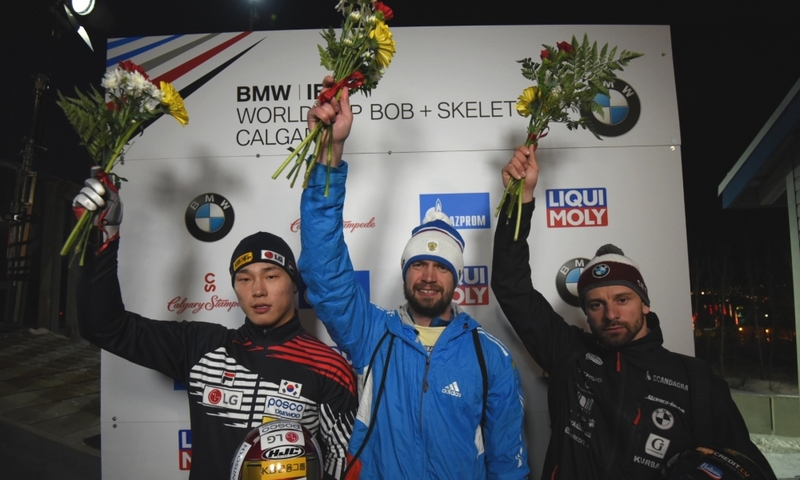 On the other hand, the Latvian skeleton star has only lost once in St. Moritz since 2011, though his loss in 2016 was to none other than Sungbin Yun. 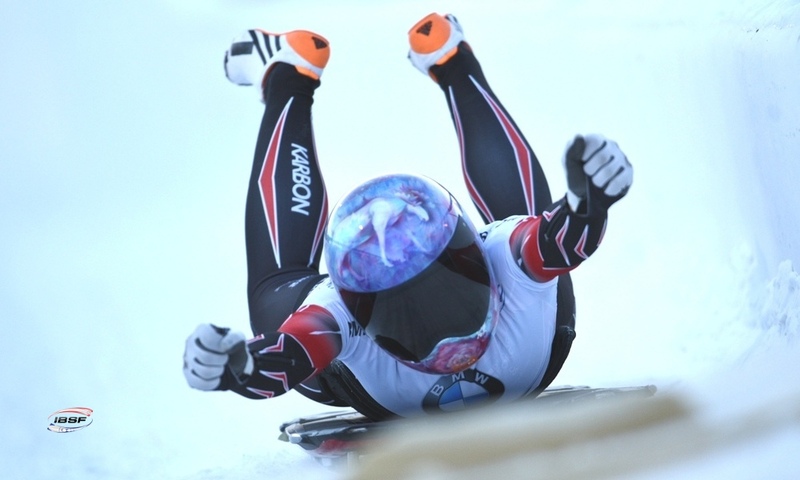 Things look set to go differently in the women’s skeleton event. 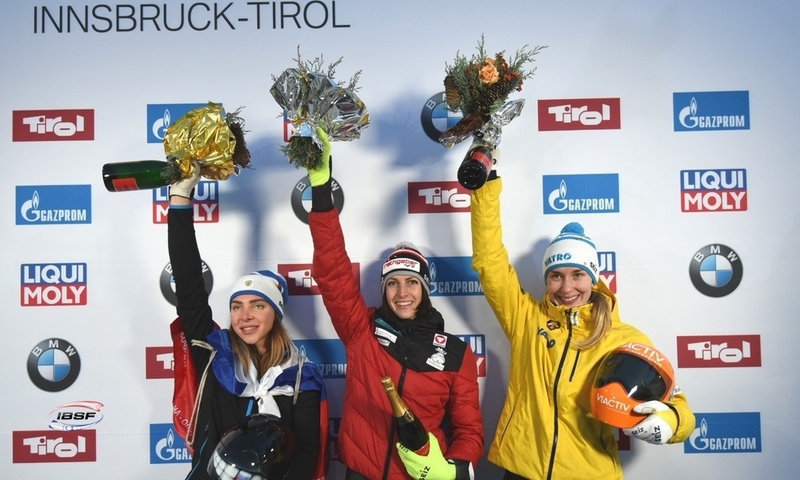 Current leader in the standings and current World Champion Jacqueline Lölling of Germany has only competed in two World Cup races in St. Moritz and missed out on the podium both times, finishing fourth (2016) and eighth (2017). 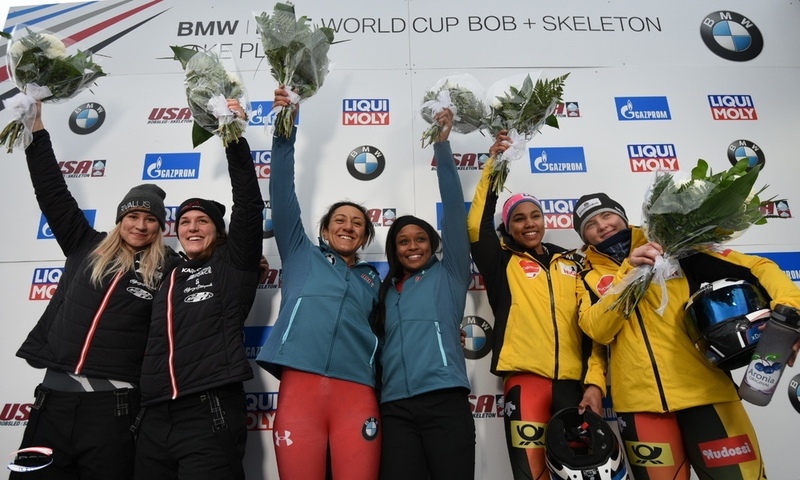 The women’s skeleton World Cup races in St. Moritz have been won by six different athletes from four countries since 2010. 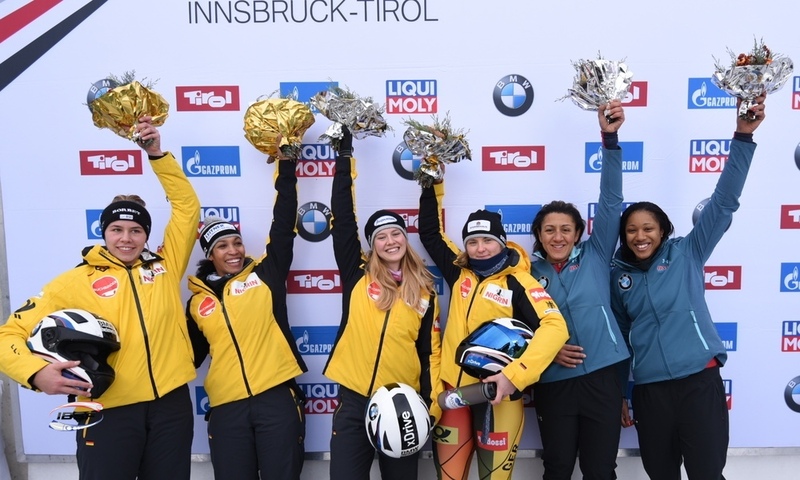 Canada is currently the country to beat in the women’s and 2-man bobsleigh in the 2017/2018 BMW IBSF World Cup. Olympic Champion Kaillie Humphries is leading the women’s standings while World Championship runner-up Justin Kripps is top in the 2-man event. 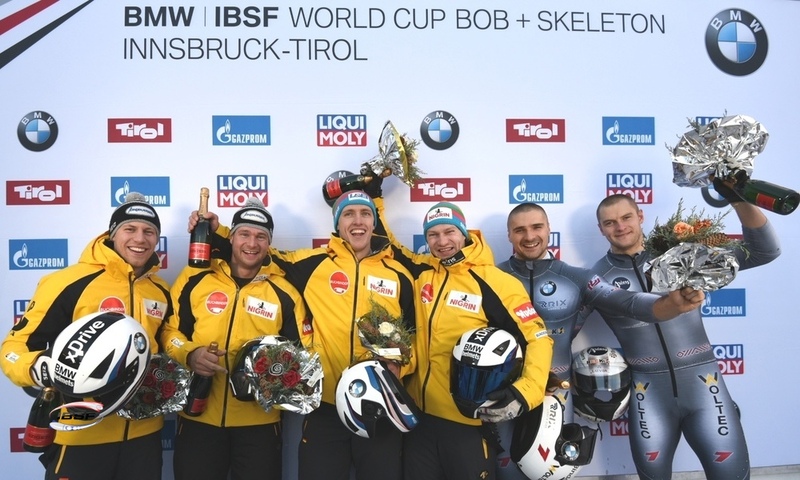 St. Moritz (RWH): The upcoming race week will be IBSF athletes’ last chance to collect points for the Olympic quotas. Once the races on Sunday (14 January) are over, they will know which countries will be permitted to compete in the PyeongChang Winter Olympics (KOR, 9 to 23 February 2018) and how many athletes each country can send. 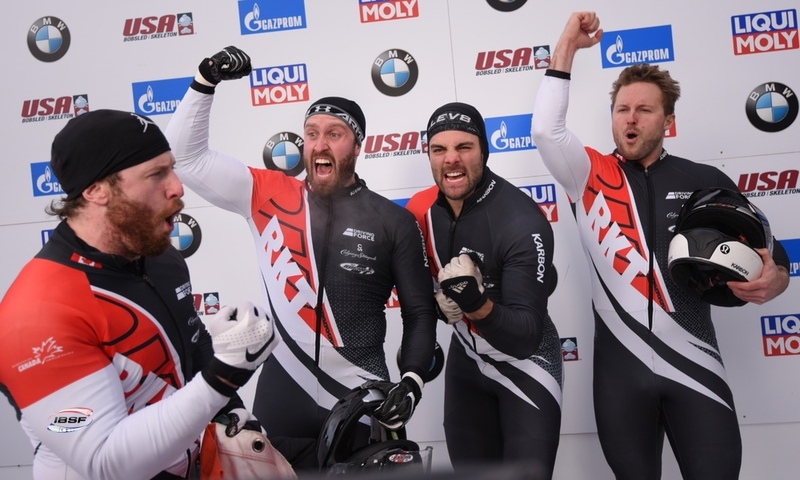 Until then, the next few days will see athletes competing in nine races from five series in four different countries. 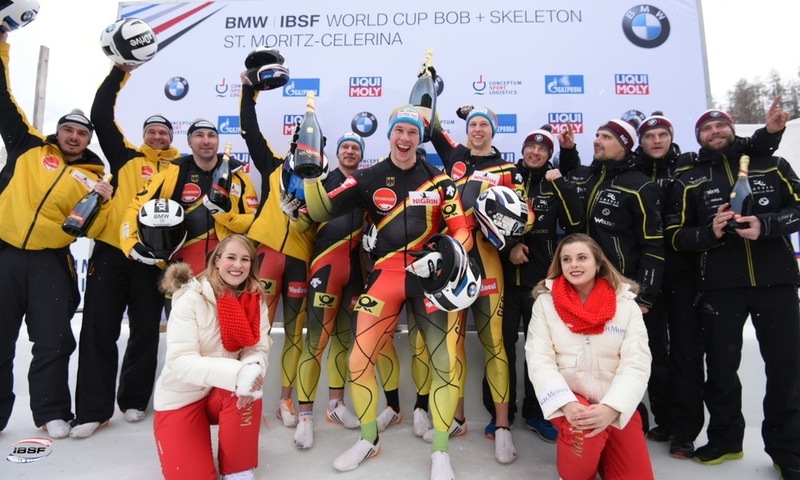 In addition to the BMW IBSF World Cup in St. Moritz (SUI, 12 to 14 January), the IBSF North American Cup will be holding its seventh and eighth races of the season in Lake Placid/USA (11 to 14 January), the Intercontinental Cup for skeleton has race number seven and eight in Altenberg (GER, 12 and 13 January), the IBSF European Cup for skeleton will hold its penultimate race in Lillehammer/NOR (12 January), while Winterberg/GER will host the final race in the European Cup for the women’s and 2-man bobsleigh and the final two races for the 4-man European Cup (12 to 14 January). 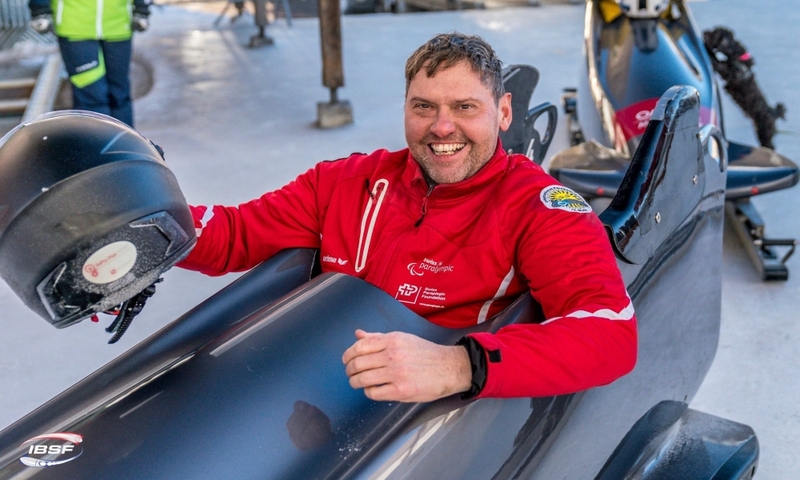 Winterberg (RWH): This weekend (12 to 14 January), the track in Winterberg (GER) will be hosting the final of the IBSF European Cup for bobsleigh. 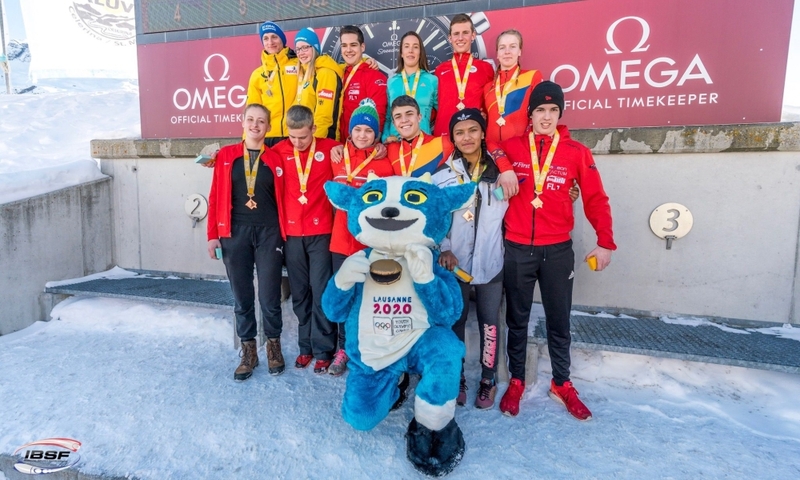 For the first time in history, the title of Junior European Champions will be awarded to the best-ranking junior athletes in the overall standings for the European Cup. 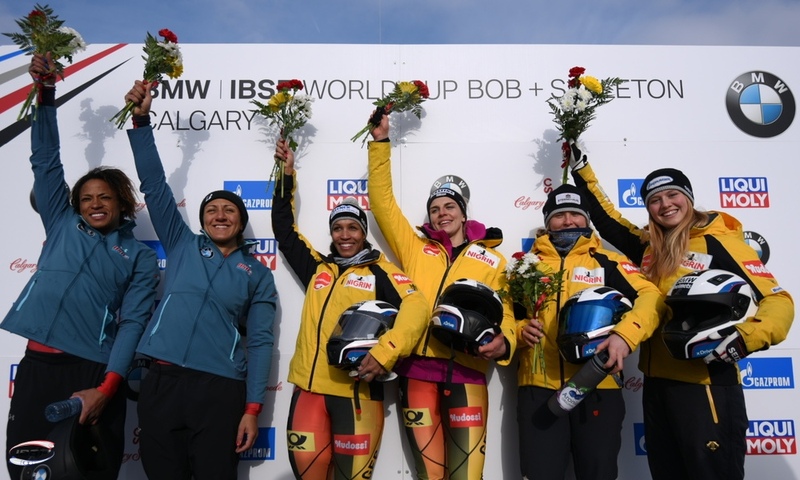 The decision to award this title was passed by the Executive Committee of the International Bobsleigh and Skeleton Federation (IBSF) in the run-up to the Olympic season. 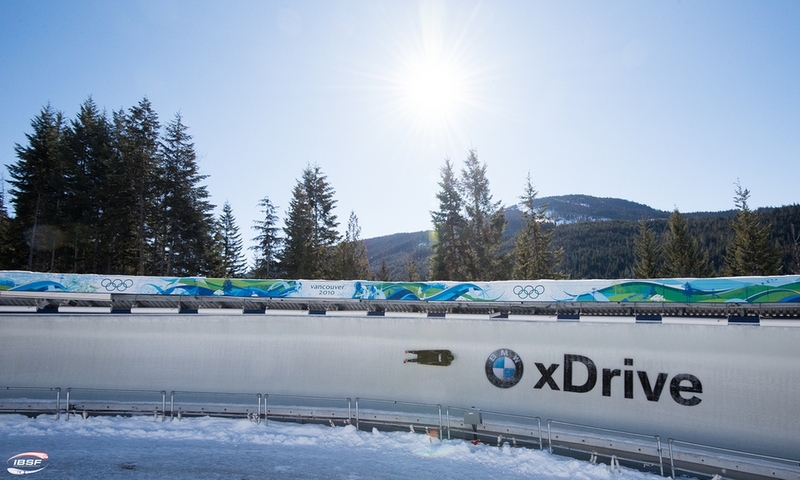 In the bobsleigh events, separate rankings are created for the categories U23 and U26. 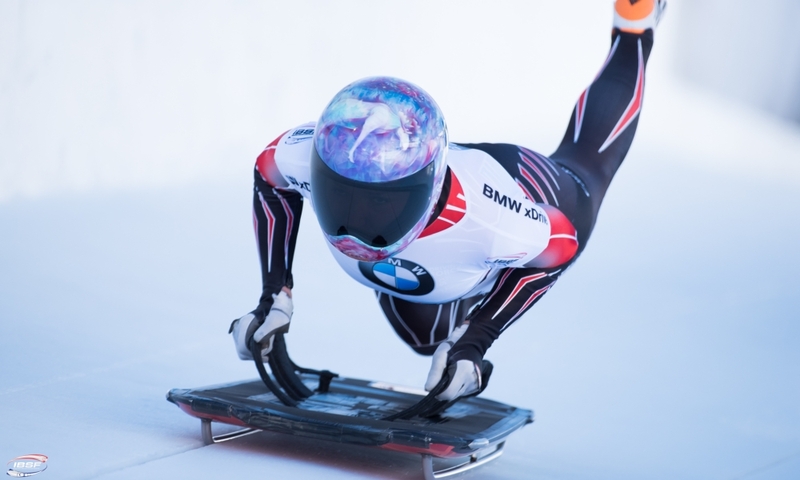 According to the IBSF’s statutes, an athlete may compete as a junior until the age of 23 in skeleton and until 26 in bobsleigh. 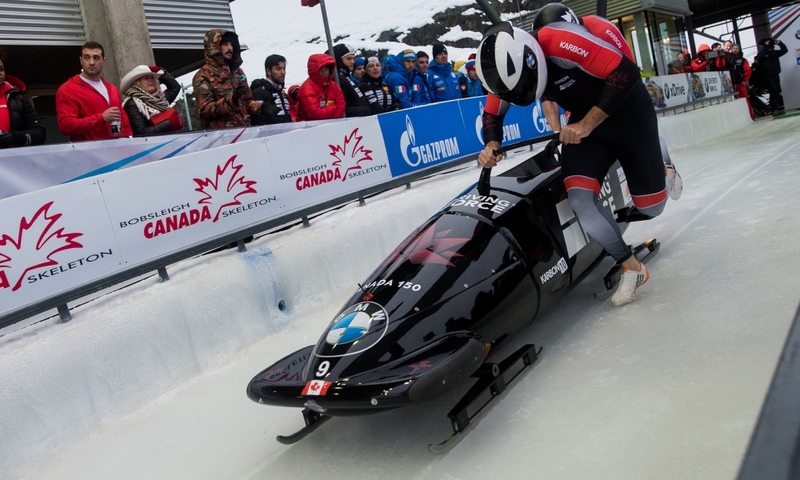 The deciding races for the women’s and 2-man events are scheduled from 2 p.m. on Friday, 12 January in Winterberg. The 4-man teams will compete in their seventh race of the season on 13 January (from 10 a.m.) before the finale on 14 January (from 10 a.m.). The overall winners and U23 and U26 European Champions will then be honoured in a ceremony after the final runs in each discipline. 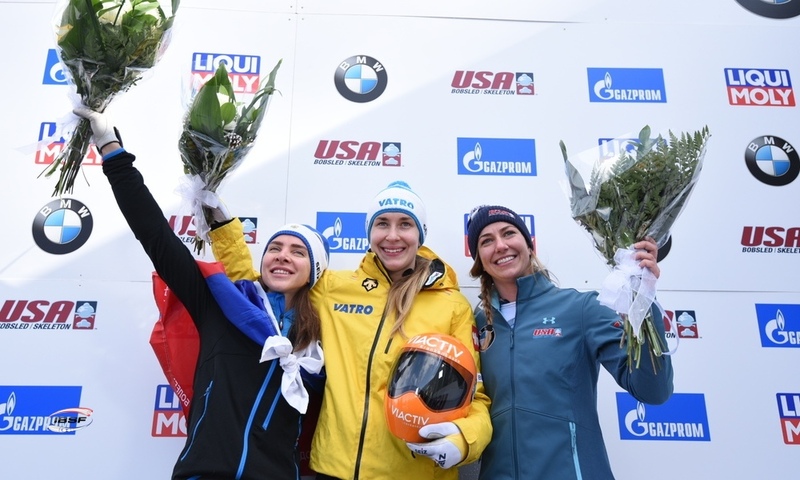 Born in the Netherlands, Sanne Dekker began her bobsleigh career at the young age of 18 with a very impressive start: At the first ever Youth Winter Olympic Games, held in Innsbruck in 2012, she won a gold medal for her home country with pilot Marie van Huigenbosch.